Most of my friends work in the finance industry and besides the usual “coming-of-age” topics like weddings, property and having children, more often than not, conversations at our dinners will start veering into the territory of work. “My office pays $5,000 as a maternity bonus” mentioned a lady friend, to a chorus of “wahhhs” from us while another mentioned how he gets to knock off at 5pm everyday (granted it’s an Australian bank) to pursue other interests. 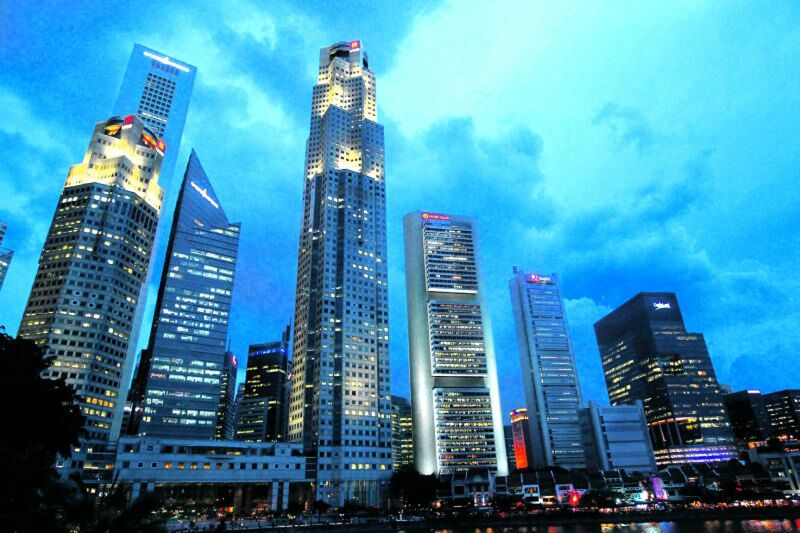 Given that Singapore is a financial hub with numerous banks having set up shop in our safe haven of an economy, those in the industry have a plethora of choices. That said, it’s a known fact that many express preference for working in a foreign bank over a local one– owing to the perception of it being seemingly more prestigious and better paying. But we bet you didn’t know the DBS (yes, you heard that right!) is one of the best banks to work for! Here’s why! A few months back, DBS Bank was named the World’s Best Digital Bank by finance magazine Euromoney at its annual awards for excellence, beating fellow global contenders like ING and Citibank. The win was the first time a Singapore or even an Asian bank has won a global accolade from Euromoney. 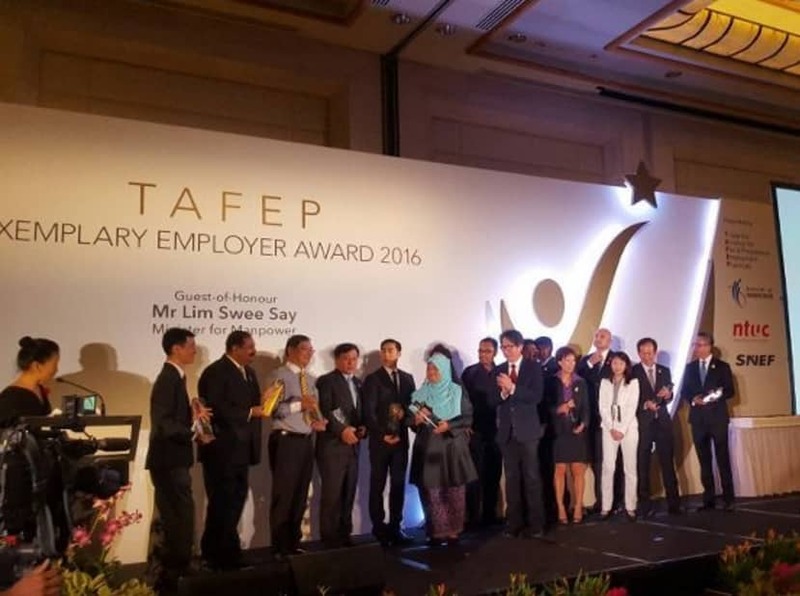 Closer to home, DBS won the I-Future Award by the Tripartite Alliance for Fair and Progressive Employment Practices (TAFEP) which recognises organisations that have put in place “holistic and progressive strategies to prepare for the workforce of tomorrow”. DBS was one of the 15 companies that were recognised as Exemplary Employers. Working for an award-winning must surely feel great! But more importantly, it bodes well to work for a bank that is also keen on winning employee’s hearts. An interview with Theresa Phua, Singapore head of HR at DBS revealed how the company has in place numerous initiatives aimed at recognising and developing local employees while creating career pathways within the organisation for them. – POSB Active Neighbours Programme, an initiative to hire mature workers as part-timers at POSB branches. – Culture of promoting gender diversity: more than half of its workforce and a third of its leadership positions are held by women, and DBS provides a range of flexible work arrangements to help employees manage work and personal responsibilities. – “Triple E” Talent Development Framework: gaining Experience through job rotation and cross-functional projects, widening Exposure through coaching, mentoring and networking, and supporting Education by providing relevant and new ways of learning. – Future of Work initiatives: using technology to help employees work seamlessly and flexibly, even from home if needed. The mindset of inclusiveness at DBS, where workplace practices cater to their diverse workforce is one to be applauded. Deputy Secretary General of the Labour Movement previously mentioned how “Workplaces can and should be made more ageless through process improvement and/or workplace re-design. Programmes such as the Job Redesign Scheme can help companies defray cost of process improvement to make their mature workers’ jobs easier, safer and smarter.” With so many family-friendly and age-friendly schemes, DBS certainly does in part in encouraging women and the mature workers to contribute to and strengthen the Singapore core of the workforce.